Sports Illustrated asked its readers to choose their own sportsperson of the year — and they chose American Pharoah. q's sports panel gathers — today, with Bruce Arthur, Stephen Brunt and Sonali Karnick — to discuss this week's top sports culture stories. 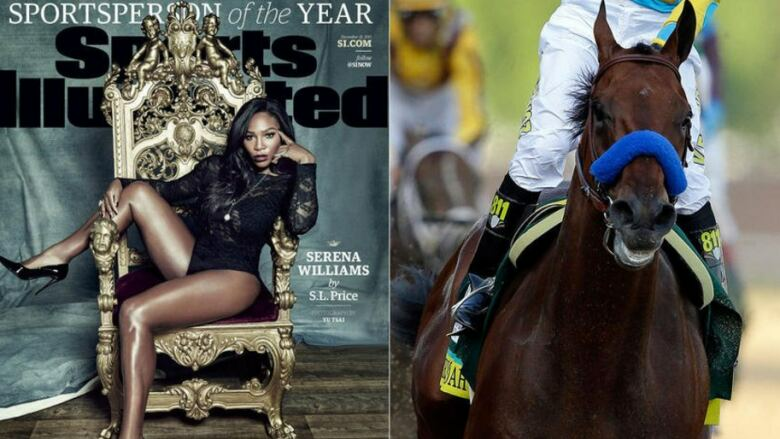 Serena Williams was named sports person of the year by Sports Illustrated — but their readers preferred a horse named American Pharoah. An NBA player throws a homophobic slur at a gay referee and only gets a one game suspension. Why?